Barbecue Spice Roasted Potato Nuggets - an ideal BBQ side dish! Barbecue Spice Roasted Potato Nuggets. These delicious potato nuggets are made with a special BBQ dry rub seasoning. A perfect, mildly spiced side dish with roasted or grilled meats at any time of year. 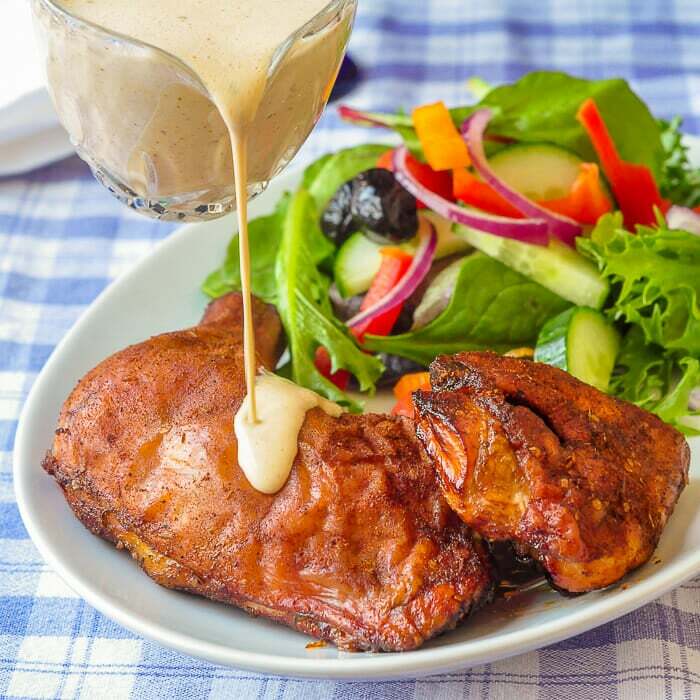 You tend to see loads of barbecue recipes on food websites and blogs at this time of year. While there are many great recipes out there for main dishes like steaks, ribs, chicken and chops, there remains the quandary of what to serve as side dishes. While dry rubbing some pork loin to slow barbecue in my smoker, my son, who absolutely loves roasted potatoes was bemoaning the fact that during the summer grilling months his favourite potato side dish made only rare appearances in our meal rotation. That complaint turned out to be a moment of inspiration. 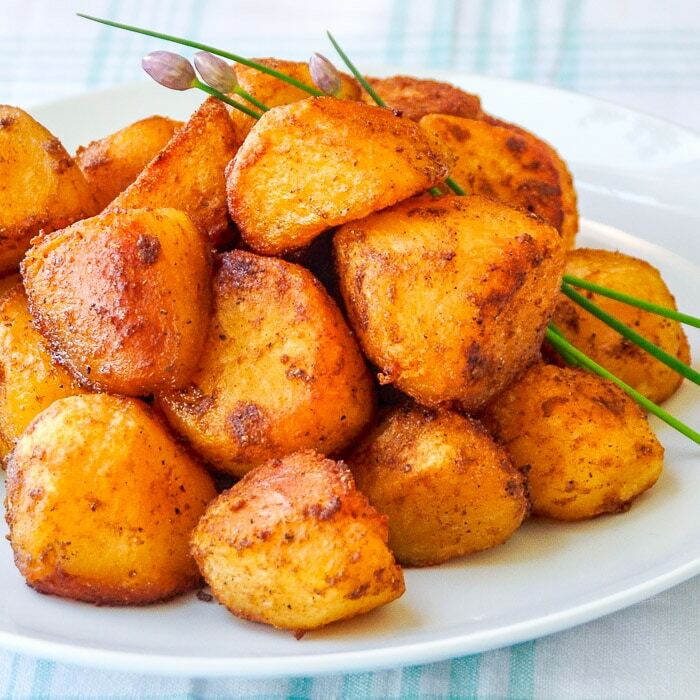 I suddenly thought that barbecue roasted potatoes, especially when cut smaller like in our Lemon Herb Roasted Potato Nuggets, might be an excellent idea. I quickly decided that some of the same spice rub that was going on the pork would be able to be used to ramp up the flavour of some simple roasted potatoes. They were an instant hit. Even as we were clearing for dessert, the last few remaining nuggets were snatched up and popped into the mouths of our dinner guests as the serving plate was being removed from the table. So, in addition to this great barbecue spice rub being able to be used on great ribs, steaks, chops and burgers, I’ve now discovered it makes a fantastic addition to a summer barbecue side dish. I gotta go make another batch of the stuff because I just know we are going to use a lot of it this summer. Get the recipe for my Smokin’ Summer Spice Dry Rub here. It’s worth checking out just to see the many ways you can use it all year long. 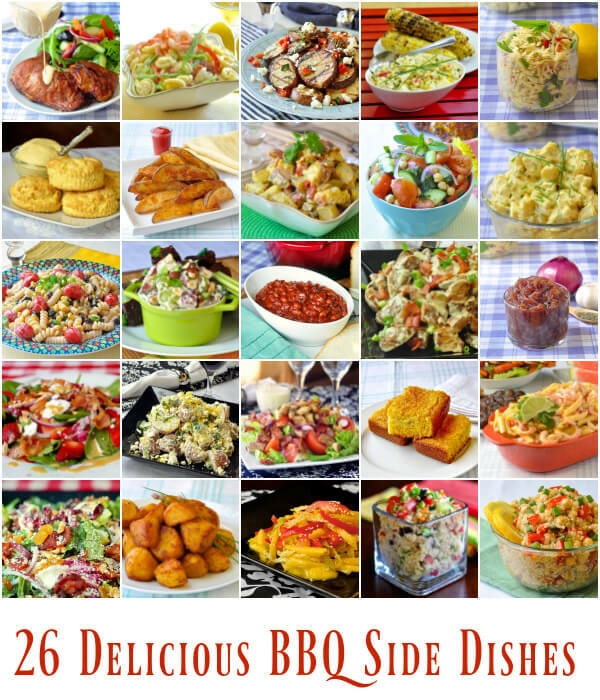 You’ll find many more amazing side dishes for summer in this collection of 26 Favourite BBQ Side Dishes! 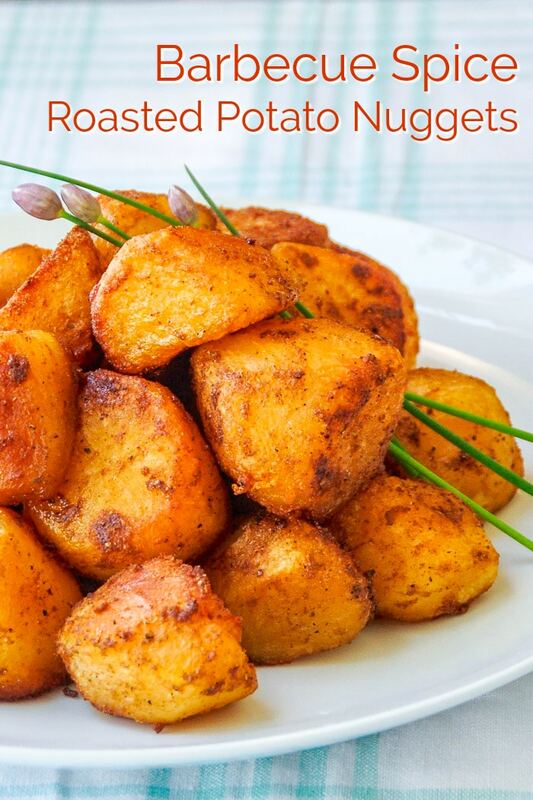 Like this Barbecue Spice Roasted Potato Nuggets recipe? Barbecue Spice Roasted Potato Nuggets . These delicious potato nuggets are made with a special BBQ dry rub seasoning. A perfect, mildly spiced side dish with roasted or grilled meats at any time of year. Meanwhile in a 375 degree F oven, heat a baking pan of sufficient size to hold your potatoes without crowding them. A glass or metal pan is fine, as long as it is well heated in the oven beforehand. This will help to prevent the potatoes from sticking to the pan. After parboiling, drain the potatoes and let them stand for 5 minutes. Then toss the potatoes with the olive oil, kosher salt, black pepper, Summer Spice Dry Rub and the garlic pieces. Roast the potatoes for about 60-75 minutes or until they are nicely golden brown all over, turning them every 20 minutes or so. After the first 10 minutes, give the pan a shake to make sure the potatoes are not stuck to it. So I didn’t have a couple of the spices like cumin or mustard but I put the mix together without them and it smells amazing. I boiled 2 huge potatoes and diced them and mixed them with the rub, sweet peppers and diced onions and I’m baking it now on 400 for 15 mins then I’m broiling them super hot for some crisp. I didn’t have time to roast them for 75 mins so I’m speeding up the process. I can’t wait to taste them. Thank you for the recipe. Smokin’ Summer Spice Dry Rub….is this something you made or something that is store-bought? Could you substitute sweet potatoes ? I think so. Sounds delicious!